We've had some great submissions so far, but your participation could get the nitty gritty competition on the way. 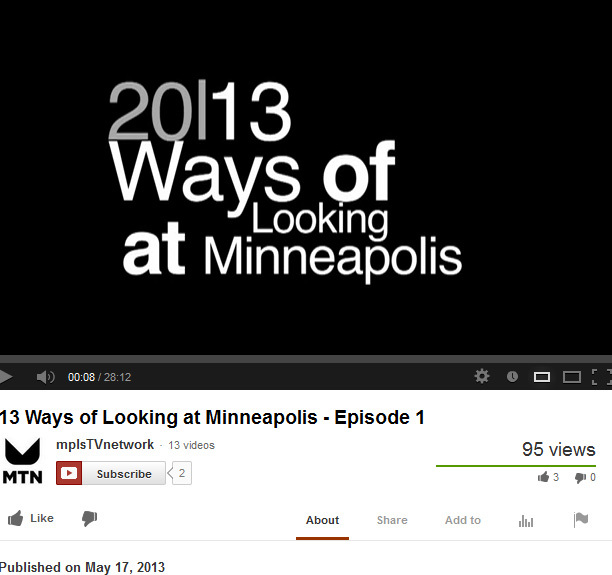 You can watch the first episode of "13 Ways of Looking at Minneapolis" if you just click here! Get your piece in here!! short or feature length project. If you’ve always wanted to work with union actors but had no access, or felt union actors may be out of your realm or budget, this is your chance to see 30 SAG/AFTRA actors who want to see you too! 2 p.m. followed by another two-hour block from 3:00 p.m. 5:00 p.m..
contracts for short and low budget projects. Directors need to bring 35 bios/resumes; in exchange, you will receive each actor’s resume with their relevant contact information and a audition link from the day. setting -- then mingle over drinks at the Astor Cafe. Great actors want to meet great directors. We need each other. Attending the audition segment is free and has 50 spots available. RSVPs will be handled on a first come, first served basis. courageous heARTS Wants to Get Through to You! 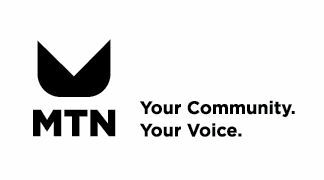 There's a new arts-based youth center in south Minneapolis- MTN is partnering on its kick-off fundraising event. We invite you to attend; here are more details: is presenting a screening of the 2013 Oscar-winning documentary, Inocente. The screening will be at the Riverview Theater on Thurs. Aug. 1, in honor of the 6th anniversary of the 35W bridge collapse. For more information, visit: www.courageous-hearts.org. And by all means, make plans to show up!! Check out our new blog that outlines for you what our youth department is planning for the summer and what we'll be getting done! There you will find that we are still accepting applications for our awesome summer camps! Let your young filmmaker get some experience with some talented artists and other students who love media!